When you visit Walker's Automotive, located in Spokane Valley, WA, 99016 you'll get a first-hand experience on how our team of highly-trained Volkswagen service technicians can handle all of your Volkswagen's maintenance problems. Our staff is trained in the latest repair and maintenance techniques and understands what the Volkswagen brand is all about. Volkswagen is a global automotive manufacturer that builds cars, coupes, convertibles, SUVs and crossovers. It's a brand that prides itself on diesel technology, robust German engineering and sound reliability. Whether your Volkswagen is new or old, problems can arise. Common Volkswagen problems include engine and transmission issues, which depends on the model and year of your Volkswagen. Walker's Automotive has a well-trained staff of Volkswagen service technicians who are ready to service your Volkswagen vehicle and any problems it faces. Walker's Automotive prides itself on offering efficient repairs at an affordable price. Our staff is patiently waiting to service all your Volkswagen service and maintenance needs. You can give us a call at (509) 922-0468. Or you can stop by our service center. Our staff is waiting! 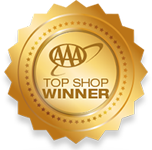 Great service and has always done the work right for our vehicles.